Essential combo for Seifuku. Full corner carry. The j.214A has to be delayed as much as possible. In the corner, the double jumps have to be vertical jumps (8). A standard ender for this combo would be to setup a j.22 pit (A/B depending on distance, C if you want to spend meter), charge it to activate it as a meaty or keep it up to activate it later during pressure. Going straight into 214A from 5C instead of using 2C leads to higher damage. The tk j.214A route is harder but more rewarding. Corner combo that uses 100% meter. 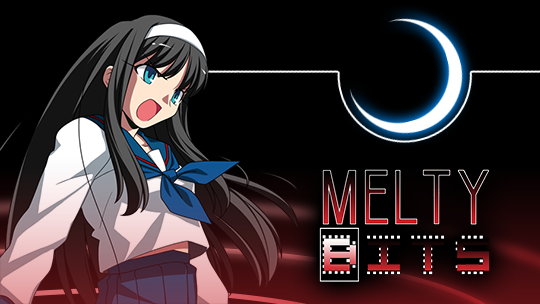 C-Seifuku is not very meter dependant. 236C combos from 5C and from any counter hit normal, and is very + on block so you can use it during pressure. 236C > 6B is technically a 2f link, but there seems to be a 2f buffer specifically for 6B (and 6C) which essentially makes it a 4f link. Midscreen overhead combo. In the corner, because of the wall bounce from 5C, the full 214 loops are not possible. 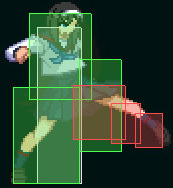 Seifuku has decent ground pokes, but no reliable anti-air. Her strongest options are in the air. You will need to be mobile and put yourself in spaces where your tools are at their strongest. Her ground dash is useful when you need space, as you can dash under aggressive opponents and reach the other side of the screen quickly. j.214A/B will be your most important tool in many matchups. 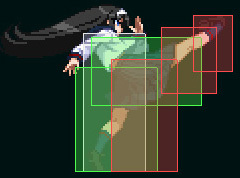 It is jump cancellable on block/hit/whiff, can lead to her BnB and is pretty safe to just throw. Combined with j.236B, Seifuku can control a very wide space. Be careful though as some characters can punish it with ease. j.B will be your main air-to-air. It has a great upward hitbox and 4 active frames which makes it a good normal to fish for counter hits with. These three moves will be your main tools in the neutral game, but you will obviously need more than this. j.A is a decent normal to use when the opponent is below you. With 6f of startup, it is her fastest air normal. It’s still not an ideal choice, and when going air-to-air you’ll generally want to be either in front of them or below. j.C is not useful as an air-to-air move, but is great for air-to-ground. 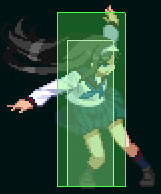 It can hit behind her although the hitbox does not extend very far behind. 5A/5B/6B/2B. 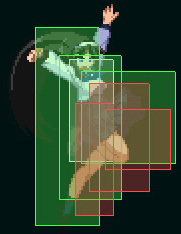 These normals are good pokes with decent hitboxes, which is made even better by her very fast dash if you want to get in that way. 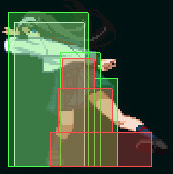 Her B normals can also be used to stop ground approaches. 214A can be used as an anti-air but is very risky. It can not be air blocked, and leads to her BnB. j.236C has a lot of (strike) invincibility. If the opponent shields one of your air normals, you can beat their counter clean with j.236C. You can also use it after an air held shield. It has even more range than j.236B and is very positive on block. It can be used as a defensive move against overly aggressive opponents. Its only con would be its lack of throw invincibility, but that should not be a problem in real matches. Each hit has to be shielded individually. 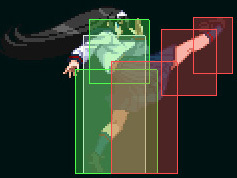 214C can be used as a fullscreen punish, for example against Heat activations. 2A. Low. 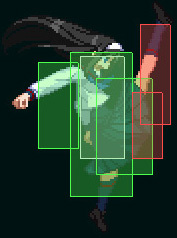 It’s her only normal that gives frame advantage at +1, so you will reverse beat into it very often. Can not be chained into itself. 6f startup. 5A is a standing low that you’ll want to use to start blockstrings. Can not be chained into itself and is -2 on block. 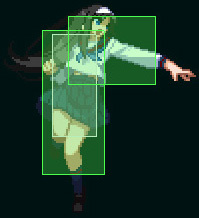 At 5f startup, it’s her fastest normal so you might want to use it after half charge 5C for fake overheads. 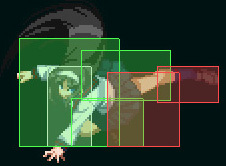 5[C] is an overhead that does not lead to her full combo in the corner. Half charging it into reverse beat 5A/2A is a strong mixup. 30f startup when fully charged. 5B is another standing low. Good to catch jump out attempts. -2 on block. 2B is surprisingly NOT low. -3 on block. 6B is a long range poke that looks similar to her 5B (but does not hit low). Also good to catch jump out attempts. -4 on block. 5C combos into 214A and 236C without counter hit. As mentioned earlier, mixing between full and half charge is a good mixup. 13f startup without charge. 214A leaves her at -1 on block, but if spaced properly you can keep applying pressure. Since it can not be air blocked you can use it to catch jump out attempts. 236C is +9 on block and on hit, and combos from 5C or from any other normal on counter hit. If it is blocked, you get to reset your pressure. If it hits, you can score big damage. If you catch a jump out attempt with 5/6B 236C, you’re also rewarded with a full combo. j.[C]. 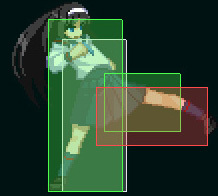 When fully charged, it gives Akiha a bit of upward momentum that can be used to create a fuzzy guard-like mixup with j.B (j. [C] j.B delay j.A to combo, or half charged j.C (land) 5A). Any combo that ends with a j. [C] in the corner leads to her dangerous okizeme. Cancelling j. [C] into a pit setup (22), and then activating a charged pit on their wake-up lets you force mixups safely.